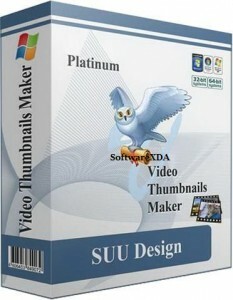 Video Thumbnails Maker is a small but efficient software that can create thumbnails of your videos. The user interface of the program is clean and intuitive. You can add files or folders to the queue by either using the file browser or the “drag and drop” method, then set the output folder. Plus, you can enable the tool to preserve the folders’ structure, take each shot in its own file and combine all files in a single picture.